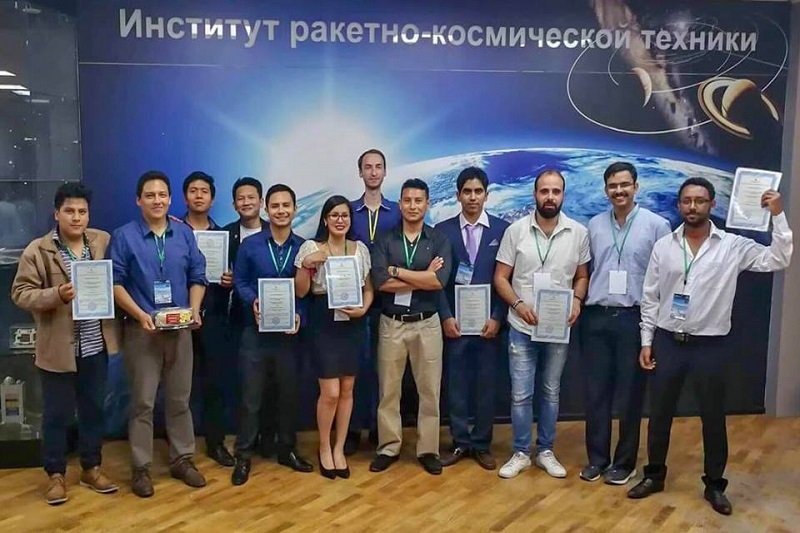 The Department of Science and Technology, through the Philippine Council for Industry, Energy, and Emerging Technology Research and Development (DOST-PCIEERD), granted support for the participation of the sole and the first Filipino participant to Samara University’s 14th International Summer Space School in Russia. Samara University is one of the best institutions that offer aerospace education courses in the world. It established the International Summer Space School in 2003 with the Progress Rocket and Space Centre and the Volga Branch of the Russian Academy of Cosmonauts. Moreover, it is supported by the United Nations Office of Outer Space Affairs (UNOOSA). According to the report, the first stage of the summer school happened from 26 March to 07 April 2018, which is a 2-week distant education training program, along with 200 others. Most of the activities during this period were content-based and calculus-based calculations. Through an online platform, the course contents can be accessed and the assignments and quizzes were completed on a weekly basis. The number of participants was narrowed down to only 40 on 12 April 2018, after the analysis of the test results from the first stage was done. The selected participants were then invited to the University in Russia for the second stage of the summer space school. All the knowledge gained from the summer space school will be tested in application through a nanosatellite project work that will undergo defence with the panel of experts. This will incorporate mission analysis, 3D simulations assembling, testing, and modelling the functionality of nanosatellites, calculations of power, link and mass budgets. The overall objective of this summer space school is to involve young people into the development of nanosatellites, usher the implementation of more experiments in space, provide fundamental knowledge and skill in space technology applications, and establish cooperation between universities and countries. UNOOSA envisions that this short course will bring open access to space applications for sustainable development by building indigenous institutional capabilities in space science and technology and nanosatellite technology. Summer school participants are encouraged to take the skills, experiences, ideas, and networks back to their home countries to make a difference. They are needed to help bring the benefits of space to their home countries to make a difference to everyone everywhere. It was last year when DOST-PCIEERD announced the expansion of its space technology applications (STA) sector that will push the establishment of the National Space Agency that is focused solely on space-related efforts in the country. Upon his return, the Filipino participant is expected to train and collaborate with students, researchers, and engineers specialising in STA. He is also expected to propose programs and missions for nanosatellite applications and present his learnings in science and technology events. With this opportunity, the country is one step closer to achieving a CubeSat implementation project that will be assembled and done in-house in some of the universities in the Philippines. This is very significant to the country’s future space technology applications, especially since the country is on the verge of creating its very own Philippine Space Agency.